For the past 18 months, I’ve often been asked if my solo show, October Baby, would ever be available online. I always hesitated because the goal was to do live performances as much as possible. After being blessed to do October Baby in multiple festivals across the U.S., I am thrilled to share that I am finally releasing the show online…and soon! 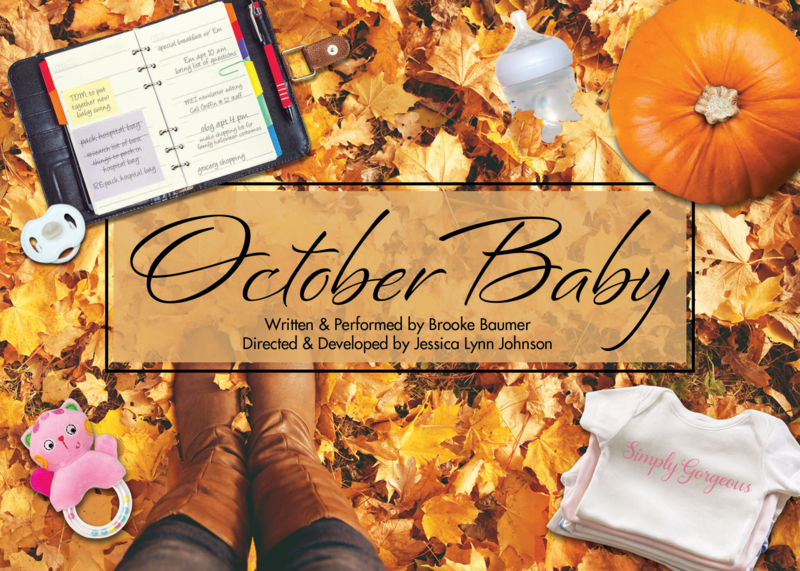 Starting on October 1, 2018, you can see October Baby via YouTube. Except you won’t see it in one sitting. I’m going all Netflix/Hulu on you! I’ve taken the full performance of the world premiere (filmed in Feb. 2017) and broke it up into a series of 10-11 minute webisodes – a total of 7. I will release a new webisode every few days during October. And if you subscribe to my YouTube channel, you’ll be notified when the next episode goes online. Now, no matter where you are in the world, you can experience my zany and heartwarming escapade to try and time childbirth during my favorite month of the year (and how well that worked out for me). I hope you’ll join me on this adventure, and if you like what you see, I’d be honored if you’d share each webisode with your friends and family. So, I will see you on YouTube in a few days.